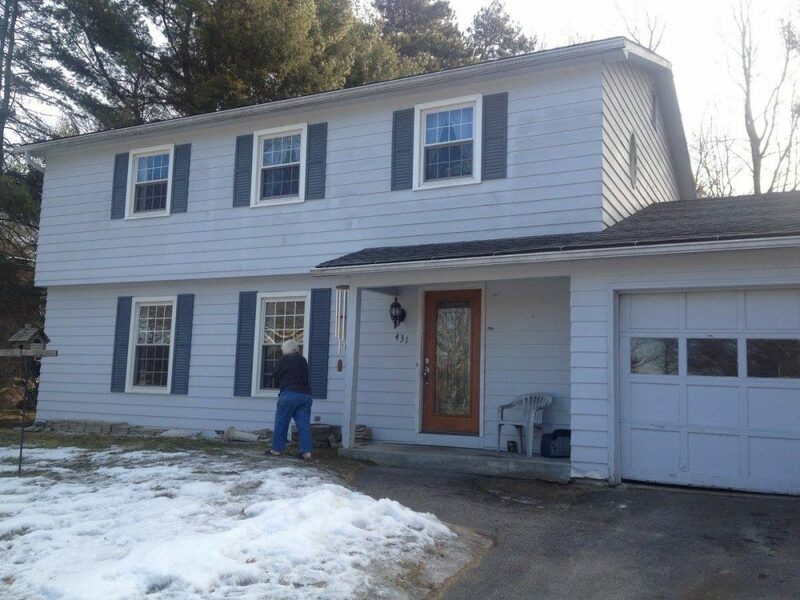 These local Manchester NH residents had a home with poor flashing and siding that was loose. The siding itself really didn’t look very good but its overall integrity was deteriorating and they were in need of some new siding. PBS installed James Hardie Fiber Cement Siding Hardie Plank & Hardie Shingle with Hardie House Wrap around the entire dwelling and tape around all seams including windows. We love the combination of the Plank Siding color is Light Mist & Hardie Shingle is Cobblestone with Arctic White Hardie Trim on all windows & doors. We also installed windows and doors. 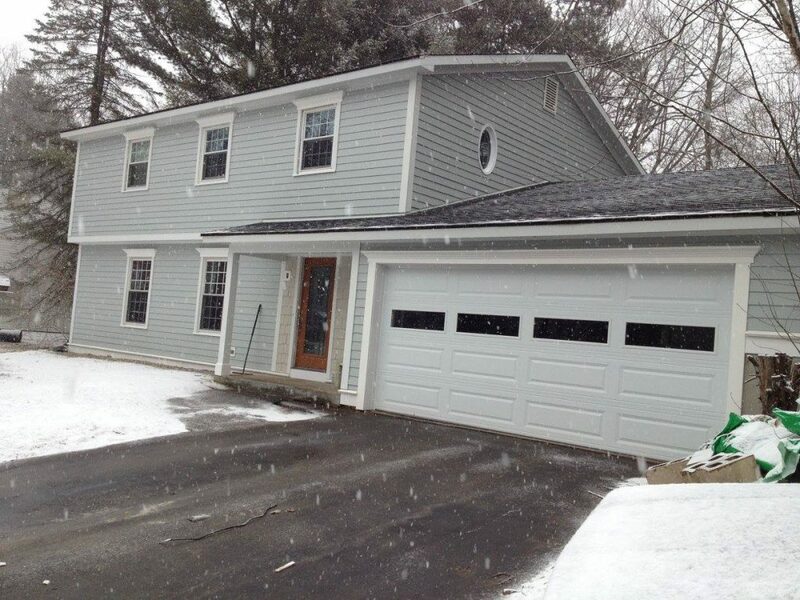 These homeowners are very happy with their custom look and efficient siding! It truly is amazing how new siding on a home can transform its look. It looks old and run down in the before picture and it looks beautiful in the after! Learn more about James Hardie here and maybe you can experience this truly amazing product for yourself.